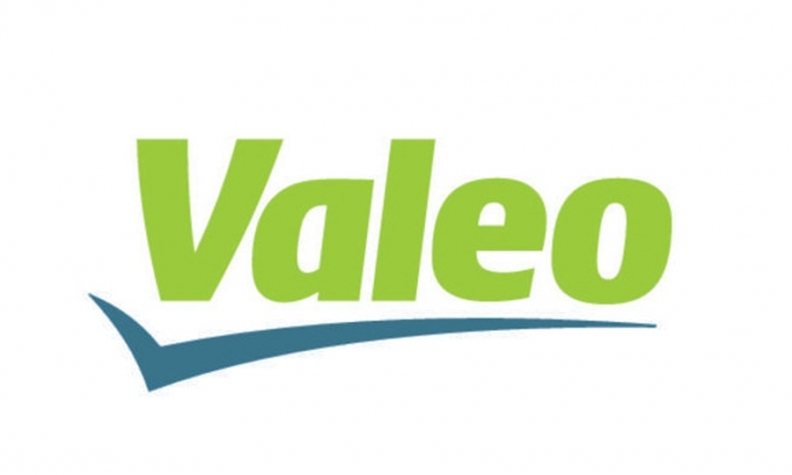 Francoise Colpron, a Canadian by birth, has led French supplier Valeo to steady growth in North America in its four primary business areas: comfort and driving assistance, powertrain components, thermal systems and driver visibility systems. Now the company is pushing to become a major player in the connected-car world. 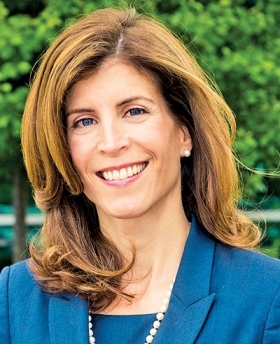 Colpron trained as a lawyer but made the transition to general management; she is now group president for North America at Valeo in Troy, Mich.
Colpron, 45, spoke with Staff Reporter Bradford Wernle. Q: You have spoken about Valeo's transition from a traditional, industrial parts supplier to a technology-mobility provider in the age of autonomous vehicles. How did that evolution come about? A: Valeo was really a technology company before we were recognized as such. It was at the Consumer Electronics Show in 2014 that we were identified for the first time as a technology company by CNN for our Valeo Park4U technology. If we stay on the parking example, we started with ultrasonic park assist in the early '90s. This was more like an aid for parking. Valeo Park4U demonstrates fully autonomous parking where you exit the vehicle and park your car with your smartphone. We showed Valeo Cruise4U at the Bordeaux ITS [Intelligent Transport Systems] congress [in October]. What's really cool about this technology is the driver can decide when the conditions allow it; he can decide to drive manually or let the vehicle take over. You have opened a Silicon Valley office. Are you in hiring mode there? We are seeking to hire about 100 engineers in the next few months. Of those, about maybe 20-25 will be in Silicon Valley. What are your expectations from the Silicon Valley office? We have a small team in the Silicon Valley. This is really important for us since we're always looking for the next big idea. We're seeking interaction with startups. It's important to review opportunities with some of the nontraditional players in the space. We have a lot to learn from these nontraditional organizations. May-be they have a speedier way to do things, to bring things to the market. In August, we announced a 22 million euro [about $24.8 million] contribution to Cathay Capital. It's an investment vehicle across France, China and the United States dedicated to financing startups. How is Valeo organizing itself to follow its customers as they make this transition? As you know, Valeo already has a pretty large global footprint, and we have for decades. We've been in China since the '90s. We're in 29 countries; we have 133 production sites and 50 r&d centers. Of those, 19 production sites and eight r&d centers are in North America. You've grown consistently in North America. Will this market continue to be a growth market? In the last five years, we've more than tripled our sales in North America, and in terms of employment, we've almost tripled employment. Last year, 2014, we ended the year with about $3.2 billion in sales. In terms of employment, we were at 11,500 people. We continue to grow faster than the market. That's why we need to push our innovation and continue to grow with all our customers, with the traditional Detroit 3, the transplants and nontraditional players. Traditionally we've been stronger with the Detroit 3. There's an opportunity for further growth with the transplants as they are localizing their supplier base. Is North America a center for global expertise in any particular technology areas? We have the expertise for torque convertors in our powertrain group. We also have some pockets of expertise in comfort and driving assistance with our 360 surround view system. It's the bird's-eye view. Also in Hudson, N.H., we have a center of expertise for all 24 gigahertz radar globally. Does Valeo have any exposure to the Volkswagen diesel issue? They are a customer. We are not the supplier in this specific case. There's increased scrutiny of the automotive players. It's an opportunity for me to reinforce compliance, quality and perfect execution. You showcased your Sightstream camera system at the Frankfurt motor show. How long before production vehicles replace rearview mirrors with such systems? In Europe, it should be in production in 2016. It's interesting for the enhanced safety, and there are aerodynamic benefits. I always like to remind people that Valeo in Latin means "I am doing well." In North America we are doing well. Our ambition is to continue to grow, to position ourselves as an employer of choice. I do monthly lunches with these newcomers [employees]. I'm always interested in learning why they chose Valeo. There's always such a war for talent. They give me three reasons: our innovation, our benefits and our people. Because of our branding, we're becoming more known in this region. We are interested in contributing to the car of the future -- making it safer, cleaner and more intelligent.